Speakers' corner on a busy summer day. 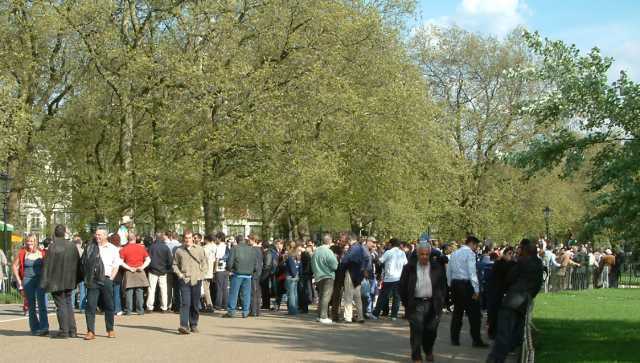 Ever been to Speakers’ corner in Hyde park on a busy day? Well, if you have you will most certainly have noticed the high level of discussion, the exchange of opinions and see how the best speakers manage to engage the crowd with their ideas and opinions. There are a number of football writers who have the very same effect on me, their thoughts are inspiring. Therefor I have decided to let other bloggers, journalists, and friends of the blog have a go at writing their very own posts for Norwegian Musings. I give you: Speakers’ corner. The only limitation I have given these writers is that their articles aren’t allowed to be about anything else, but football. Otherwise the content is unedited. All the people contributing have my outmost respect, and I really do appreciate their contributions.